Mossad Director-General Yossi Cohen says that as long as present regime continues to rule Iran, Israel will be under threat. 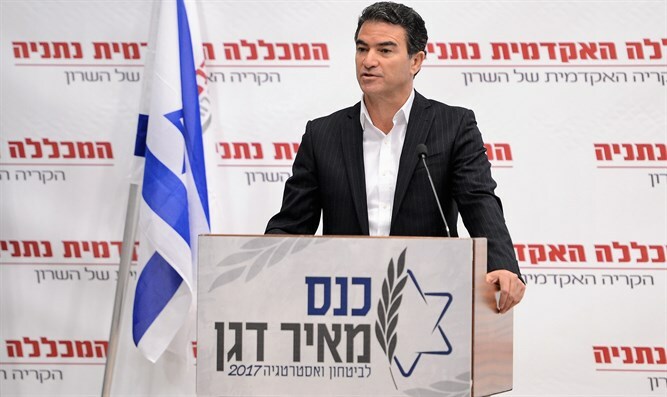 Mossad Director-General Yossi Cohen referred Tuesday morning to Israel's situation regarding Iran and said that "as long as the present administration exists, with or without a nuclear agreement, Iran will continue to be the central threat to Israel." "The US was and is a superpower, and the new buzzword is hybrid strategy. The idea is to work concurrently utilizing a variety of measures at different levels," Cohen asserted. At the conference at the Netanya Academic College in memory of former Mossad chief Meir Dagan, Cohen also referred to other regions around Israel and said that "the security establishment needs to focus on the enemies in our region and learn them in depth in order to overcome them when required - and it will be required." "The Middle East is our home ground and therefore we need to be acquainted with the entire region. We need to create treaties, identify mutual interests with partners and even with enemies at a certain level," concluded Cohen. Earlier, IDF Chief of Staff Gadi Eizenkot addressed the conference and said that Israel’s military was working to secure the nation’s northern border, but warned that the Iranian-backed Hezbollah terror group in Lebanon had become Israel’s greatest security challenge.